Dhaka, 22 Oct, Abnews: The admission test results of 'Gha' (D) unit of Dhaka University (DU) for 2017-18 academic session has been published on Sunday afternoon amid allegation of question paper leakage. 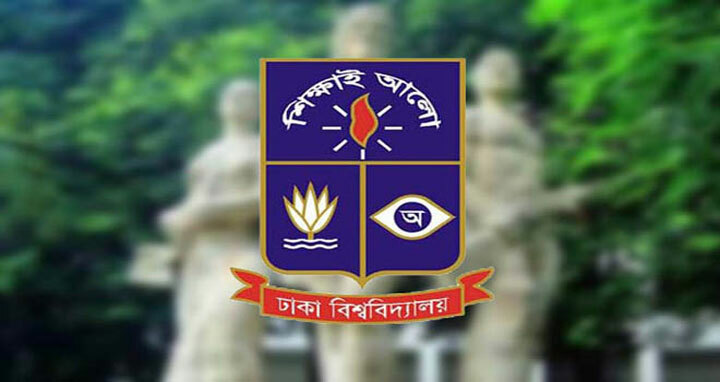 DU Vice-Chancellor Prof Dr Md Akhtaruzzaman announced the results at the central admission office of the university's administrative building around 1:30 pm, said a DU press release. The results will be available on the university website www.admission.eis.du.ac.bd. Candidates can also get the results via SMS using any mobile operator. To get result through SMS, one will have to type ‘DU GHA roll number’ and send it to 16321. A total of 98,054 applicants contested against 1,610 seats of three groups Science (1147), Business (410) and Humanities (53) in the entry test held on Friday. Hours into the end of the test, an allegation of question paper leaking was raised, sparking off a countrywide criticism. However, the DU authorities denied the allegation. Also, 15 people, including two Dhaka University (DU) students, have been detained for their alleged involvement in question paper leakage and illegally using electronic devices during the entrance test.